Unique Porsche is the rarest of the 600 GT3 RS 4.0 models sold in 2011. 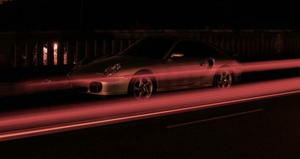 The 2011 Porsche 911 GT3 RS 4.0 was the last high-performance package offered on the 997 platform. This model offered the greatest level of performance, combining every go-fast bit that the German automaker had developed during the 997 era including a 500-horsepower Boxer engine that was the most-powerful of its kind at that time. Only 600 examples were built and sold, making the GT3 RS 4.0 was as rare as it was remarkable, but the car shown above is the most unique of them all. This car was built for comedian and avid Porsche collector Jerry Seinfeld, was the most expensive 2011 Porsche 911 GT3 RS 4.0 built with an MSRP nearing $246,000. It featured a long list of options including some exposed carbon fiber body panels that weren’t installed on any of the other examples. As a result, this car is expected to bring somewhere in the area of $800,000 to $1,000,000 when it rolls across the auction block at the upcoming RM Sotheby’s Porsche 70th Anniversary Auction at the Porsche Experience Center in Atlanta, Georgia. What’s with All of These Options? When Jerry Seinfeld worked with Porsche Exclusive to create a truly unique 2011 Porsche 911 GT3 RS 4.0, he spared no expense. This was the final 997 GT3 RS 4.0 built, wearing serial number 009 and coming with options unseen on any other example of this supercar. This RS 4.0 is painted black with GT Silver Metallic-painted wheels, ceramic composite brakes and subtle RS 4.0 badging behind the front wheels, deleting the hood and side stripes that came on most of these 911s. Next, this 997 has a high-gloss exposed carbon fiber hood, rear spoiler and side mirrors, making this the one and only GT3 RS 4.0 with the unpainted carbon fiber parts. Also, to make the car even more unique, the underside of the carbon fiber hood is signed by Hans Mezger and Andreas Preuninger. On the inside, Seinfeld’s 2011 Porsche 911 GT3 RS 4.0 bucks the bare-bones layout, instead opting for a heavy dose of black leather that covers the steering wheel, seats, door panels, dashboard trim, steering column trim and shifter, with contrasting stitching throughout that is the same silver as the wheels. This car also features the Sound Package Plus with Bluetooth Phone Interface, the Sport Chrono Package Plus, a PCM with Extended Navigation and the Front Axle Lifting System. Jerry Seinfeld took delivery of this 2011 Porsche 911 GT3 RS 4.0 in January of 2012, driving it for more than 5,000 miles before he let it go. The original price of this car was$ 245,515, but when it rolls across the auction block later this month, it is expected to sell for roughly three times that. As the rarest 997 911 GT3 RS 4.0, this car would have appreciated in value over the past six years, but the fact that Jerry Seinfeld owned this car is sure to add to the value. Click here for a look at the huge collection of pictures on the RM Sotheby’s website. Induced vacuum leak leads to new hissing noise. Normal?